Holly Arnold Kinney was raised at The Fort with her brother, Keith, and pet Canadian Black Bear, Sissy. Built in 1961 as an adobe replica of Bent’s Old Fort (1833-1849) by her parents, Sam’l P. and Elizabeth Arnold, The Fort was originally commissioned as the family home. Later in the construction process, however, the Arnolds chose to open the lower level as a restaurant, specializing in “New Foods of the Old West.” As a young girl, Kinney learned the restaurant business by holding every position imaginable at The Fort; frequent trips with her parents to London, Vienna, Switzerland and Mexico helped Kinney develop culinary knowledge and a worldly perspective at an early age as well. Following in her advertising executive father’s footsteps, Kinney began her career as a top billing sales account executive for Denver’s KDEN News Radio. In 1978, General Electric Broadcasting Corporation’s KOA Radio hired Kinney as an account executive. In 1981, Kinney founded Arnold Media Services, a public relations firm specializing in specialty food products and the restaurant industry. For more than 20 years, she worked with top national and international brands such as Toblerone, Colavita USA, Nestle’s Specialty Foods Division, Perugina Chocolates, Hatch Chile Company, the Colorado Tourism Board and the Colorado Restaurant Association (CRA). In 1999, Arnold Media Services became the in-house public relations and advertising agency for The Fort, and in 2001, Kinney left the media world to become business partners with her father, purchasing 49 percent of the landmark restaurant. 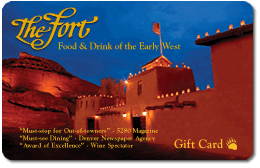 In December 2006, Kinney became the sole owner of The Fort, following her father’s passing. Active in the day-to-day management of the restaurant, Kinney led The Fort into the 21st century, with the addition of social media and digital marketing campaigns, as well as menu changes, such as an extensive 130-bottle wine list, which has received the Wine Spectator’s Award of Excellence consecutively for more than a decade. Passionate about cultural heritage and cuisine, however, Kinney remains loyal to The Fort’s culinary roots, and continues to utilize the 3,000-volume rare cookbook and western history library she inherited from her father to refine The Fort’s menu. The interest that Kinney developed in history at a young age inspired her to create The Tesoro Cultural Center in 1999, a 501 (c)(3) nonprofit organization committed to protecting and making available to the community the artistic treasures and history of the Southwest. In 2009, Kinney formed a publishing company, the Fur Trade Press, LLC, and in the fall of 2010, published an award-winning cookbook, Shinin’ Times at The Fort … Stories, Recipes and Celebrations at the Colorado Landmark Restaurant, which was nominated as a finalist in the Colorado Humanities Book of the Year Award. In January 2012, Kinney was tapped to serve on the U.S. Travel and Tourism Advisory Board, providing private sector recommendations to Secretary of Commerce James Bryson and President Obama on important industry issues, such as creating jobs through travel and tourism. 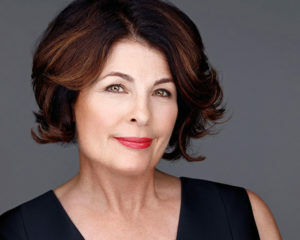 In May 2015, Kinney received the Daughters of the American Revolution’s National Medal for Historic Preservation for her work with Tesoro, and for securing The Fort’s place on the National Register of Historic Places. Kinney has served on the Board of Directors of the CRA, and received the association’s highest individual award, the Distinguished Service Award, in 2010. She has also served on the Board of Directors for the Colorado Historical Society (History Colorado) and currently serves on the Advisory Board for the Department of Agriculture Colorado Proud program. She is the former president and founding member of the Colorado Chapter of Les Dames d’Escoffier, and a member of the International Association of Culinary Professionals (IACP), American Institute of Wine and Food (AIWF), Meeting Planners International (MPI) and the Denver Metro Convention and Visitor Bureau’s marketing committee. Kinney is married and resides in Denver. She is passionate about tourism, the restaurant industry and building community cultural programs through the Tesoro Cultural Center.